Do you know how important Vitamin D, also known as the sunshine vitamin, is to your health? This key vitamin is essential to regulating two important nutrients in your body, calcium and phosphate which are important to the formation and strengthening of your bones and teeth, help nerve function and make muscles contract. Without them humans could end up with bone deformities and muscle pain as well as increased risk of dying from cardiovascular disperse and in senior adults, cognitive impairment. So how much Vitamin D do we need to keep calcium and phosphates in balance in our bodies? According to the Institute of Medicine, being outside in the sunshine for at least 20 to 30 minutes a day is the best way to get your daily source of Vitamin D. During the spring, and summer months that’s not a problem unless you spend most of your time indoors or keep most of your skin all covered up. But generally, most us get our daily dose of Vitamin D just by a few minutes of sun exposure during those months. However, during the fall and winter months, we tend to be indoors most of the time or we are more bundled up because its cold out. Also, the days are shorter and so our opportunities for receiving natural Vitamin D through sun exposure may be minimal. 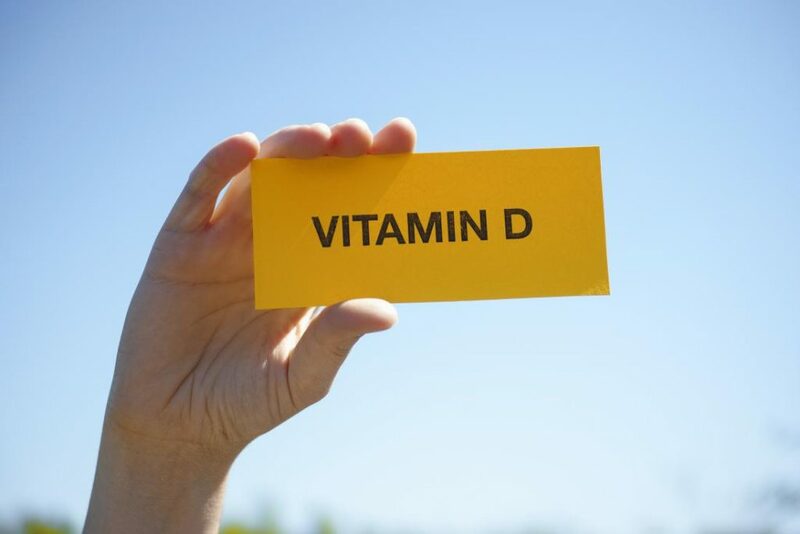 According to the National Health Institute people with dark skin from the Caribbean, African or south Asian countries are at higher risks for Vitamin D deficiency as well. So what to do during those months with shorter days of sunlight? There are ways to get Vitamin D through our diet! As well as through supplements. There are lots of good foods we can consume to help provide our daily needs for Vitamin D. And the very best food sources of Vitamin D are egg yolks, red meat, oily fish, liver and foods fortified with Vitamin D like milk for instance. •Fatty fish like tuna, mackerel and salmon which are also a great source of Omega 3’s. •Then there are foods fortified with Vitamin D like dairy products such as milk, soy milk and almond milk and even orange juice and a few cereals. But they also caution against taking too much Vitamin D. So stick to the 10 mcg a day and be healthy!